Spanning over the last three years, the Wellington KiwiSport Primary School Project continues to increase the exposure of the sport of AFL in Wellington Primary Schools. The support given by Sport Wellington has seen over 6300 students take part in the AFL KiwiKick Programme since the project was given the green light back in 2015. AFL New Zealand’s ‘AFL KiwiKick’ programme focuses on developing fundamental movement and ball skills for boys and girls between 5 to 12 years of age. The programme can include between 6 to 10 sessions and a match programme and takes place schools to ensure the burden of travel is reduced for parents and volunteers. It can be held before, during or after school and runs on a set day each week with session frequency, duration and cost structure designed to suit the needs of each school or centre. The highlight of the project came in June 2017 where a record number of Schools recently attended the fourth Upper Valley Cluster Tournament at Trentham Memorial Park, making it the biggest AFL KiwiKick Tournament that Wellington has seen. 15 teams from 11 schools attended the day at Trentham Memorial Park with 10 of the schools having had the AFL KiwiKick programme in their school in the last 2 years. Over 180 kids participated in the tournament and the standard was high right from the start of the day with kicking and marking impressive from the sides. The tournament linked with the Secondary School KiwiSport project where 12 Upper Hutt College Students who have completed the AFL Secondary Schools ‘Coach the Coaches Programme’ were on hand to assist with the tournament. Upper Hutt College teacher Scott Leggatt was fantastic in seeing the opportunity to link with local Primary Schools. A student from Upper Hutt College umpiring at the 2017 Upper Valley cluster tournament. Over the course of the day the students assisted with all aspects of running a tournament. 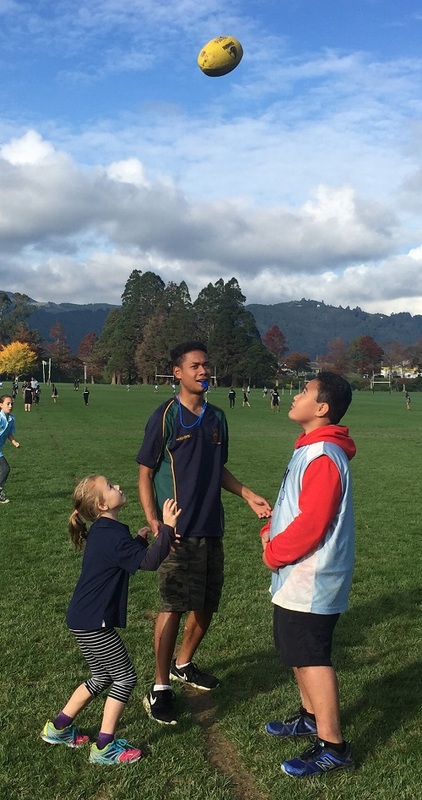 From Umpiring and scoring games to recording results and coaching fun games during bye rounds, the feedback from the Primary Schools was positive and were impressed by the professionalism shown by the Upper Hutt College students. The first two years of the KiwiSport project focused on the in-school delivery of AFL KiwiKick. In 2017, the focus shifted to the after school delivery component to ensure the sports sustainability within Primary Schools in Wellington and at the completion of the project, 634 Primary School students have continued on the AFL KiwiKick pathway outside of school hours. 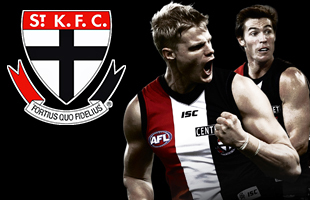 AFL New Zealand will continue to deliver the AFL KiwiKick programme, as it both delivers on key outcomes specified by Sport New Zealand and KiwiSport, and gives participants an affinity with the sport of AFL. Free taster sessions can be arranged for schools to provide both teachers and students with the opportunity to experience the fun and learning provided by AFL KiwiKick. To arrange your free taster session for your School, please email National AFL KiwiKick Manager Reg Ranchhod, aflkiwikick@aflnz.co.nz.